Firm, angled natural bristles of the eyeliner brush on one end allow controlled definition of lashlines and brows; stiff bristles of the eyebrow brush help tame hairs. Your way to a perfect finish starts with the perfect brush! This handcrafted brush is customized to perfection and is made of high-quality bristles. Firm, angled natural bristles of the eyeliner brush on one end allow controlled definition of lashlines and brows; stiff bristles of the eyebrow brush help tame hairs. The eyeliner/eyebrow brush has two purposes. The eyeliner brush on one end is used to line eyes and enhance sparse brows with eye color. 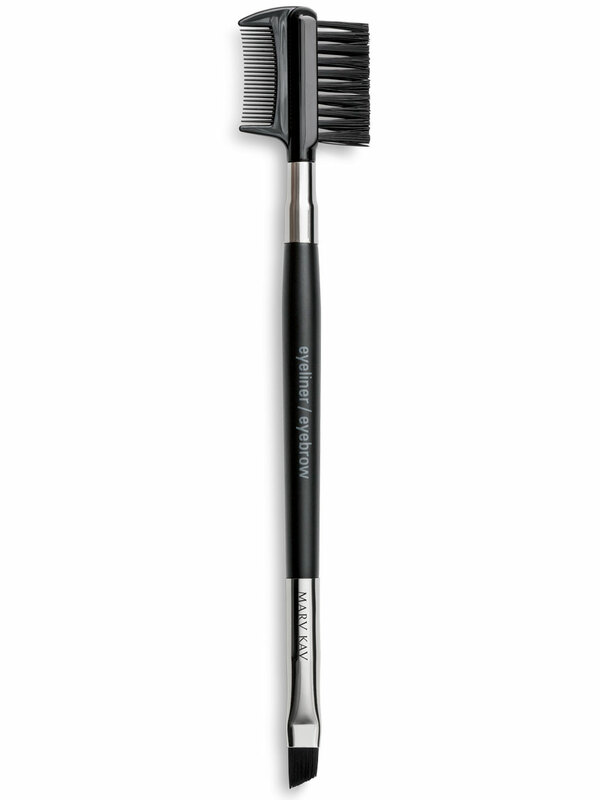 This flat, angled, short-bristle brush makes it easy to apply a thin line of color along top and bottom lashes. It's also a great tool to use for blending your eyebrow pencil. 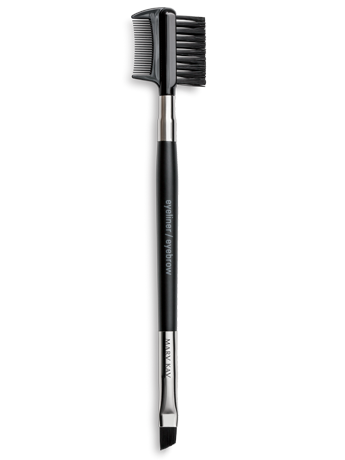 Use the eyebrow brush to brush brows in the opposite direction from which they grow to remove any excess foundation. Gently brush back, following their natural shape and direction.